I’m not taking sides or making any specific recommendations regarding one company vs. another—that’s not my intention. Plus, you need to realize that while virtually no one in network marketing actually likes to talk about this subject, soo many networkers—leaders and newbies alike—constantly jump from company to company. We need to talk about that, because while sometimes this behavior is a symptom of “shiny object syndrome,” othertimes, leaving your company might be a sound business decision, based on your goals. To start, let’s look at a “typical” scenario of how someone joins their company. Personally, I’d never heard of this profession, but I loved the product and wanted a business I could build from home. Most people, I’ve found, sign up as a distributor because they’ve gotten results with the product. But what most people don’t understand, however, is that your initial excitement doesn’t cut it. Not if you’re looking to build a sustainable, long-term business. But, when we’re new, we don’t know all that, do we? When you’re just getting started, all you know is: prospect and recruit, prospect and recruit. The training you need when you’re moving into a leadership role? So you need to really take stock and evaluate where you’re at. Many network marketers are stuck, and they don’t know how to overcome that. They are not even happy with their company or leadership anymore. But they just stay put, because they don’t know how to get out of their situation. They think in scarcity, instead of thinking in the abundance of creating the business of their dreams. Obviously, I’m not saying you should leave your company. What I’m saying is sometimes, as you start building or growing a team and interacting with the leadership, is that you learn more about the policies of the company, which includes what you’re allowed to do, and what you’re not. Hint: you might not like some of these policies. And sometimes people feel like they’re stuck, like they don’t have a choice in the matter. But you do—you always have a choice! Does your company align with your values? Does the culture align with who you are? You may love the product…but the product, in and of itself, is not a business. Case in point: I still buy the product from my first company in network marketing. So while I don’t build the business, I still love and buy the products. Are you going to be a consumer, or are you going to start making some REAL business decisions? 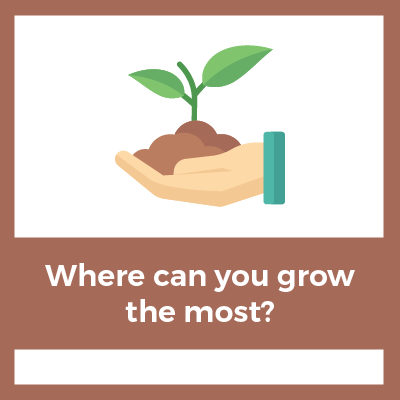 Where can I grow the most? Where can I create the biggest impact? What type of culture and leadership do I need to thrive? And join another company, organization, or leader, more in-line with your goals and values. In fact, I recently went through this. So let me share a little bit of my story. When I was first introduced to network marketing, like I said before, I loved the product and I was learning a lot. But at a certain point in my career, I realized I really wanted to understand this profession as a profession, instead of a hobby. I was already building my business on Facebook, because I didn’t want to do home parties. Now don’t get it twisted, I’m not bashing home parties, I’m just saying that’s not the business I wanted; I wanted to be home with my kids. About a year and a half ago, I branched out and wanted to understand more about attraction marketing, so that people would come to me through my personal brand and online presence. So I dove in, became a student, and started implementing what I was learning. What happened was some people in my company didn’t appreciate what I was doing. They wanted me to build my business the way they built their business, because they were successful in network marketing for over 25 years, doing it their way. And sure, what they did worked for them, when it worked for them. And guess what…the trend today is building ONLINE. Most network marketers, at least the one’s I’ve been talking to, don’t want to build offline. They don’t want to do home parties, they don’t want coffee shop meetings. But, because I was doing attraction marketing, I was frowned upon and pretty much exiled. So, the culture of the company was no longer in alignment with my values and how I wanted to build. Now, keep in mind, I was making multiple six-figures in this company and I would have hit millionaire status last year. I couldn’t just sit there, unhappy, and feeling unfulfilled just to collect a paycheck. Unfortunately, most people don’t think that way and they just stay for the sake of staying. I was scared as heck of losing my significant income. And I could have stayed and collected a check, but for me my integrity was worth more. But I didn’t want to get stuck in the limiting mindset of what I was losing. So I left that company. I found somewhere else to go and I have never been happier. And that’s the message I want to share with you. If you are unhappy, why sit in misery? Now I’m truly building an amazing network marketing business, quickly, with a true dream team. Attraction marketing is working beautifully for me. I don’t have to recruit anymore; people just come to me. There’s no more prospecting and recruiting. The organization I decided to join is in alignment with how I want to build and the culture is a perfect fit. So keep in mind that..
No, it’s all about creating an alignment in values, culture, and passion. Because when you’re actually in alignment with the company, it also allows you to thrive and grow bigger than you could have in an environment you’re not in alignment with. And that’s ultimately the lesson here. And guess what…the income I walked away from, I replaced pretty quickly. Now I’m thriving and growing faster than ever. Now I’m discovering I can actually grow bigger than I ever thought possible because there is alignment with the organization. So you need to find a company that supports your vision and goals. That will allow you to run harder and build faster than ever. There are PRACTICAL reasons for walking away from a company you’re not happy with. That doesn’t mean it’s easy, of course. They’re nervous about what other people are going to think. But I’ll tell you this: I didn’t get here in my life by worrying about what others think, because I’ve had arrows thrown at my back, I’ve had negativity, I’ve had to deal with a lot, but you must always go back to your inner guide and listen. Really take stock of where you’re at in your life and you recognize when a change needs to happen. I always say you take those steps forward in faith and everything unravels and figures itself out. I rolled with the punches and I rolled right into my dream team. Sometimes you just have to leap. Again, the message I want to bring today is not about hating on your network marketing company. So, to those of you who want to do attraction marketing, but feel restricted and like you can’t at your company, these are business decisions you’re going to need to make on your own. If you need to spread your wings because you can’t operate within the policies of your company, then it’s time to start looking around, for strictly business reasons. If you love the product, then continue being a customer of the product. I still like my past company’s products; leaving the company doesn’t mean I can’t use them. Don’t know about you, but I’m not in this business for an extra hundred or two a month. I’m looking to grow an empire and then help my team grow an empire as well. And I needed to move on to find a company that aligns with those beliefs. I’m basically giving you permission to consider some ideas that are not talked about in network marketing very often. And hopefully your current company is in alignment with online recruiting methods. If not, maybe it’s time for you to consider a change. Because there is simply no better strategy than to be able to build your business from behind your computer, from home, with your kids and your family. I will tell you right now, branding myself and using attraction marketing has been a HUGE part of my success. When I use attraction marketing techniques, I’m not really recruiting—people are reaching out to me and already want to join. In fact, every day I get dozens of messages, because I use both passive attraction & active prospecting on social media, where I create curiosity on my page and follow-up using 3-way Facebook Messenger chats. Messenger is a powerful, low-resistance, rejection-free alternative to traditional 3-way calls and has been key to my success. So if you need any help prospecting on social media, then you might like a resource I created to help out other network marketers who want to sponsor a LOT more people. They’re my 3-Way Facebook Messenger Recruiting Scripts, which are 100% free. You’ll discover the exact method I used to take back my time and personally sponsor 270+ reps and grow a team of 8,300 distributors, all from the comfort of my home, in just 3 years. 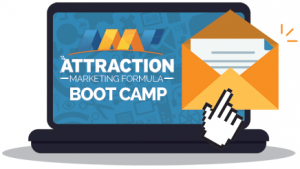 These strategies create such explosive duplication, that for every person I sponsored, my team would grow by an average of 30 people in depth each time.